We are organisational design, development and change management practitioners, with over 20 years’ experience of working in the private, public, professional services and voluntary sectors. We have a distinctive reputation for making a positive difference. We are particularly sensitive to the dynamics involved in integrating individual needs with organisational culture, company objectives and business processes. Our ‘holistic’ approach helps to resolve issues blocking success. As a result, we are frequently asked to play a leading role in facilitating difficult organisational change and development issues. Our skills and knowledge encompass business acumen, behavioural psychology, training facilitation, coaching and mentoring. The long-term partnerships we form help organisations transform learning, thinking and behaviours that limit efficiency and effectiveness. The People Partnership is a broad-based human resource consultancy which is focused on improving business performance. Our mission is to help organisations to positively improve their business performance. 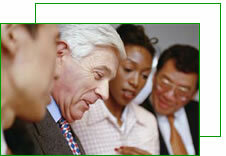 We focus on the people issues involved in organisational development and change management. Our team of consultants has many years of experience of personnel management and organisational development in the private, public and voluntary sectors.